Buying your first home is both exciting and overwhelming. Count on someone with experience. Let me guide you through the home ownership process, from your first look to move in day. With my help, you'll have the home of your dreams in no time! The most helpful thing that Chuck did was to guide us through the HUD offer/buying process. His knowledge in this area proved to be invaluable!! Although we were only the 2nd highest bid, I believe we won the bid because of Chuck's advice! While dealing with Bank of America, the bank had at least 3-4 people working on our loan. Chuck dealt great with all of them. Chuck was very attentive to our needs and wants. When we found the house that we wanted, Chuck got the offer done fast. He made my dream of home ownership a reality! He was always pleasant and made sure we understood everything. His emails are good, detailed, and accurate. Chuck went above and beyond when helping me find and purchase my new home. I had worked with a different realtor prior to working with Chuck and my experience was very dissapointing. Chuck lined up a number of houses on the very first day that were nicer than anything else I has looked at previously. He was always available via phone and email and answered all of my questions throughout the entire process. Our situation was a little different because we started with a short sale that fell through because of an issue with the seller's broker. Chuck was there every step of the way keeping me well informed as to what was happening. He put me at ease when things became stressful and was constantly reassuring me that he would handle things. He promised me that we would find a home and we ended up purchasing a wonderful home and I could not be happier. Chuck is trustworthy and really cares about his clients. 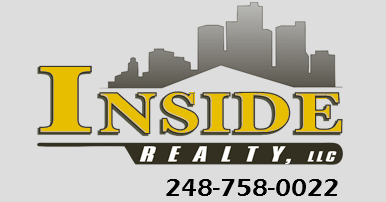 I would recommend him and Inside Realty to anyone! The most helpful thing that Chuck did was to guide us through the HUD offer/buying process. Chuck's knowledge in this area proved to be invaluable!! Although we were only the 2nd highest bid; I believe we won the bid because of Chuck's advice! Also we want to also thank Chris for her efforts in showing us houses while Chuck was out of town. With my help, you'll have the home of your dreams in no time!